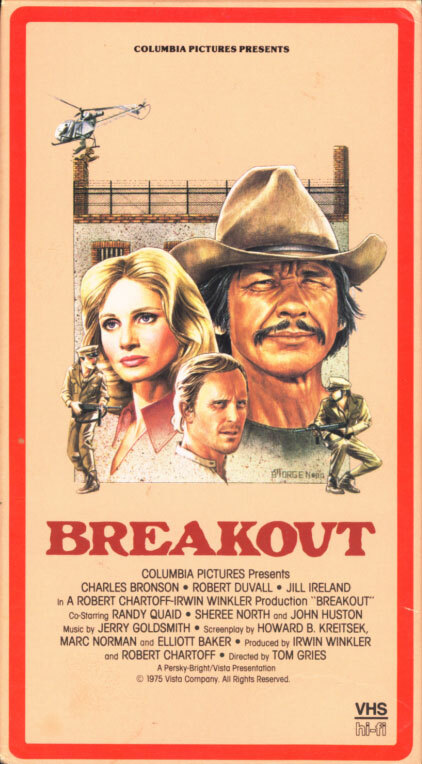 Breakout on VHS. Starring Charles Bronson, Robert Duvall, Jill Ireland. With Randy Quaid, Sheree North, John Huston. Directed by Tom Gries. 1975. Imprisonment in a foreign country… it may be a fate worse than death. Jay Wagner (Robert Duvall) is framed for murder by his scheming grandfather (John Huston). Unjustly convicted, he faces 28 hard years of confinement in a crowded Mexican prison. Wagner’s guilt-ridden wife, Ann (Jill Ireland), who unwittingly aided in framing him by confiding in the grandfather, turns to pilot Nick Colton (Charles Bronson) and his partner, Hawk (Randy Quaid), to help Wagner escape. Only the most cunning and daring tactics can spring Wagner so Colton must plan the impossible. Breakout builds to an explosive climax when Colton launches an all-out desperate helicopter raid that will either rescue the prisoner or cost the lives of all involved. 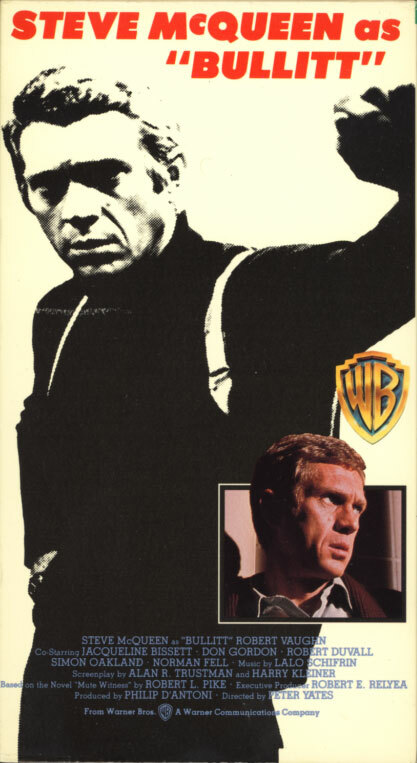 Bullitt on VHS. Starring Steve McQueen. With Jacqueline Bisset, Simon Oakland, Don Gordon, Robert Duvall, Robert Vaughn, Norman Fell, Vic Tayback, Suzanne Somers. Directed by Peter Yates. 1968. Detective Frank Bullitt has just received what sounds like a routine assignment: keep a star witness out of sight and out of danger for 48 hours, then deliver him to the courtroom on Monday A.M. But before the night is out, the witness will lie dying of shotgun wounds. And Bullitt, a no-glitter, all-guts cop, won’t rest until he nabs the gunmen… and the elusive underworld kingpin who hired them. 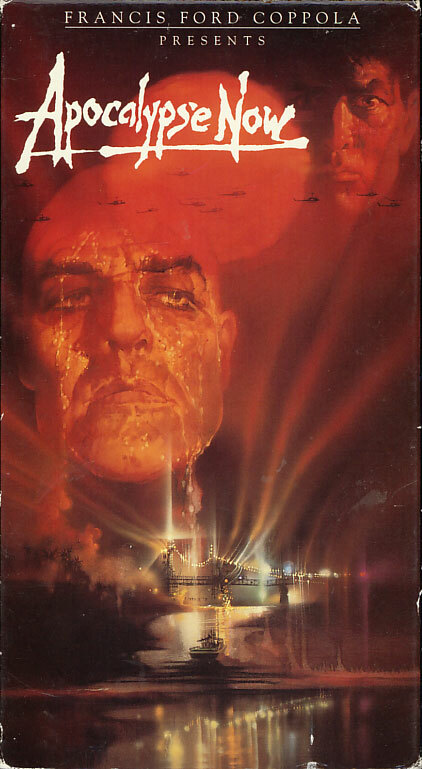 Apocalypse Now on VHS. Starring Martin Sheen, Marlon Brando, Robert Duvall, Frederic Forrest, Laurence Fishburne, Harrison Ford, Dennis Hopper, Sam Bottoms, Albert Hall. Directed by Francis Ford Coppola. 1979.